If you want to join a dynamic and fast-paced environment, work with cross-functional teams to design, build and roll-out products; if you want to deliver products that impact the Automotive Ecosystem with technologies that remove the roadblock of Electrified Vehicles and help create the crucial nerve system of Autonomous cars; if you are a brilliant Product Manager, passionate about building new products and creating high value to customers and end users; if you have previous product management experience and have successfully driven breakthrough technologies for the automotive market; If you have been intimately involved from initial product vision to product adoption by customers; If you are comfortable working with business and technical teams, simplifying complex subjects and helping experts understand the business value of their work : WE ARE WAITING FOR YOUR APPLICATION! As part of the Product team, you will be in charge of the OLEA Product Management. – Articulate technology and product positioning to both business and technical users. 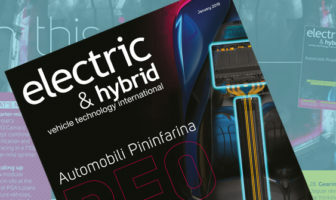 – Articulate the product positioning and translate its benefits at Electric and Electronic vehicle Architecture (EEA) level. – A minimum of 5 years of product management/marketing experience or equivalent in the automotive industry. – Familiar with powertrain applications, AUTOSAR BSW, MCAL and CDD and ISO 26262. – Good written and oral communications skills including ability to format differentiated positioning and messaging, build effective sales content, and deliver compelling presentations. – Self-starter who truly enjoys working in a fast-paced, high-growth and start-up environment.